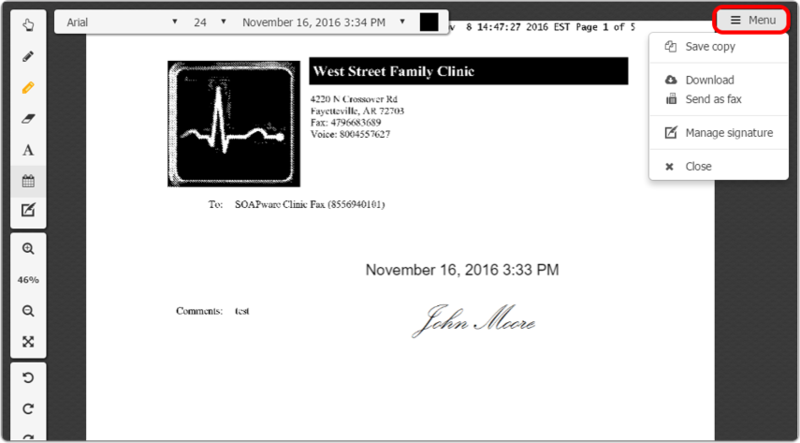 Click on the Fax tab in the My Health panel. Select the fax that you wish to edit by clicking on the line item. Click the Edit Fax button in the Actions panel. Click the annotation tool that you wish to use. Options for this annotation tool will be displayed at the top of the document. Modify the options if desired before using the tool. You will be able to view your annotations/edits on the document. Save Copy: Save a copy to myHEALTHware Drive. Download: Download and save to a patient chart or to a folder on your computer. 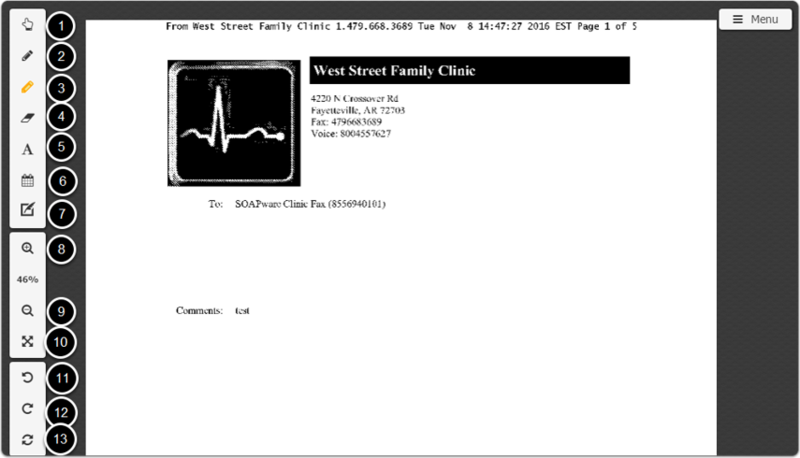 Send as Fax: Send the edited document as a new fax. 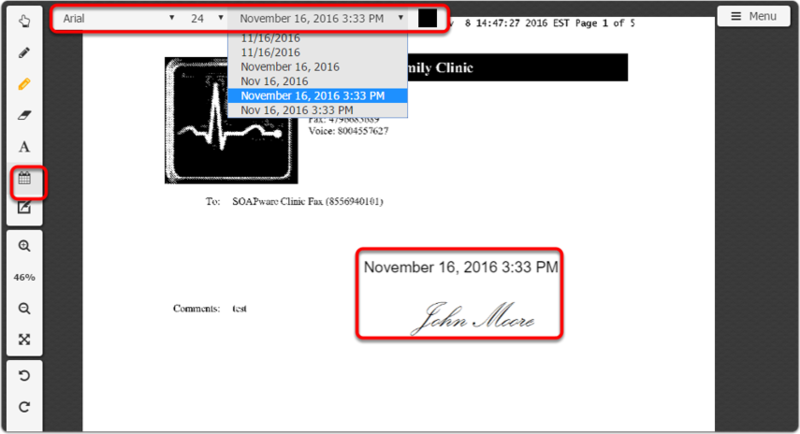 Manage Signature: Add a providers signature to myHEALTHware to be used with the Signature annotation tool. Close: Close the edited document without saving.